Recap the London IOT Summit online! After the huge success of the San Fran edition, RE.WORK held the Internet of Things Summit in London on 12-13 March. The event showcased the opportunities & emerging trends in the IoT and its' impact on business & society. Session topics included: Smart Textiles, Internet of Fashionable Things & Industrial IoT. If you missed any of the presentations at the Internet of Things Summit in London last month, you can now view them again on Youtube and check out the Storify summary. Tickets for the Deep Learning Summit and Internet of Things Summit in Boston end in 8 days! 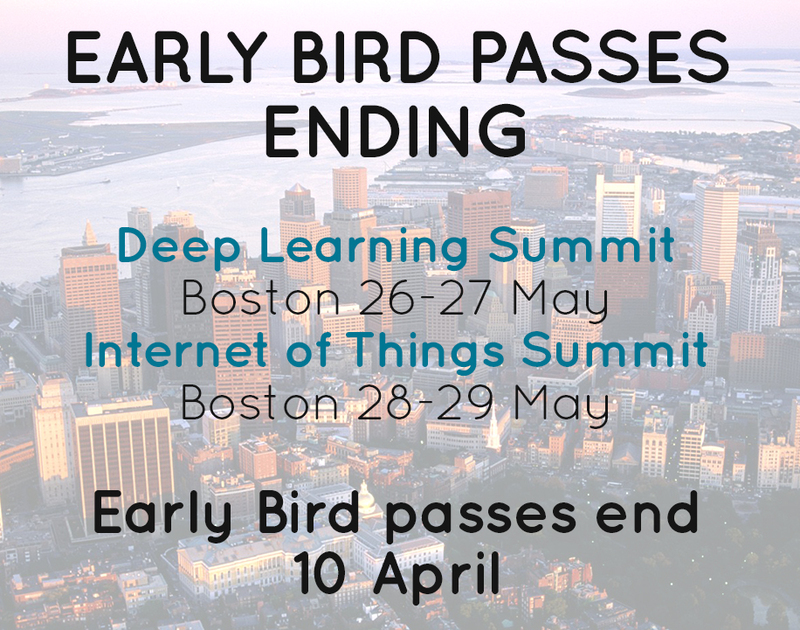 After the sell-out success of the San Francisco editions, the Deep Learning Summit and the Internet of Things Summit are coming to Boston this May! Both events previously sold out so be sure to book your ticket this week to confirm your space. Book before 10 April to secure your tickets and save $200. Computers That Can Learn: How Will Deep Learning Affect the Lives of Millions of People?